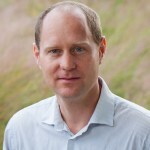 Ian Archibald (D Phil, Biophysics, Oxford, 1980) leads Integrated Renewables, a non-profit research institute (2013-); a member of the Cellana Leadership Team (2007-2011), and with Shell in many roles (1982-2010), Archibald has worked in most areas of the oil industry: oil product development, marketing, supply trading, exploration and production, environmental affairs, and technology strategy. He was a Founding member of the Shell Gamechanger team, which brought radical innovation to implementation within Shell. 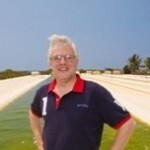 He was Manager, Algal Biofuels Technology within the Shell biofuels organization until 2011. Archibald specializes in innovation and overall system integration, the interface to scale up and fuel and co-product commercialization. 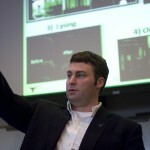 Colin Beal (PhD, Mechanical Engineering, University of Texas at Austin, 2011) is an engineering consultant with B&D Engineering and Consulting. Colin's dissertation focused on the barriers to sustainable algal biofuel production. Since graduation, he has worked with OpenAlgae, the NASA OMEGA project, and the Cornell Marine Algae Biofuel Consortium, mainly focused on conducting techno-economic engineering assessments of algae production and conversion methods. 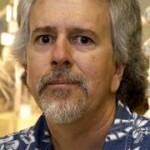 Robert Bidigare (PhD, Biological Oceanography, Texas A&M, 1981) is Professor Emeritus, University of Hawaii (2016-). He was associate editor for Limnology & Oceanography (2002-2015), federal advisor for NOAA’s Ocean & Human Health program (2006-2014), served on the National Research Council’s Reference Materials for Ocean Science study panel (2001-2002), and was an associate editor for Reviews of Geophysics (1997-2001). Bidigare specializes in bio-optical oceanography, phytoplankton pigment biochemistry, intermediary metabolism in marine plankton, and pelagic trophodynamics. He has more than 200 peer-reviewed scholarly publications. 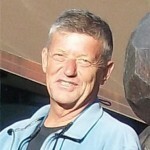 He has received numerous awards, including a Certificate of Merit (American Chemical Society, 1990), Best Paper awards (The Geochemical Society, 1995 and Japanese Phycological Society, 2003), ARCS Foundation (Honolulu Chapter) Scientist of the Year award (2003), Klaus Wyrtki award for Excellence in Graduate Education (Department of Oceanography, University of Hawaii, 2004), University of Hawaii Excellence in Research award (2007), and the American Geophysical Union Fellow award (2008). Susan Brown (PhD, Biological Oceanography, U Hawaii, 2001) is Research Affiliate, University of Hawaii (2005-), and has held previous research positions at Scripps Institution of Oceanography and in the private sector (2002-04). For the past 3 years she has worked on R&D, partnered with Cellana, to-wards the goal of commercially produced biofuels from marine microalgae. Brown isolated over 500 strains of marine microalgae, 2 of which will be tested in large-scale production this year. She has successfully targeted microalgal isolations for other applied purposes, including pharmaceutical research and biohydrogen production. Brown specializes in marine plankton ecology and has authored over 30 peer-reviewed manuscripts and participated in 17 oceanographic field expeditions. 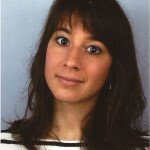 Léda Gerber (PhD, Energy, Swiss Federal Institute of Technology Lausanne - EPFL, 2012) is Postdoctoral Associate at Cornell University (2013-), where she develops models and methods for a sustainable engineering of algal biofuels production processes. Her PhD dissertation focused on integrating Life Cycle Assessment in the conceptual design procedure of emerging renewable energy technologies, with applications to the fields of biomass, geothermal energy and urban systems. She has received several awards recognizing the quality of her research at EPFL and is the author of a book about the sustainable design of renewable energy systems. 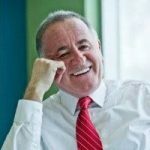 Brian Goodall (PhD Organometallic Chemistry, Bristol 1973) VP Business Development, Valicor Renewables (2011-) VP Downstream, Sapphire Energy (2008-10) holds 87 patents, has a long history of rapid and successful product commercialization, will lead Valicor process. 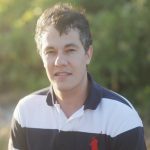 Joe Granados (BS, Physics and Mathematics, University of Arizona, 2008) is a Data Scientist for the Marine AlGae Biofuels Consortium (MAGIC). 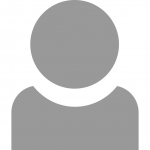 Joe maintains and develops the web-enabled Consortium database and document management system, providing access to all Consortium members. Develops and maintains Consortium website. Analyzes and interprets empirical data. Develops and runs computer models. Publishes results in peer-reviewed journals, and presents results at scientific meetings. Arranges logistics for and participates in monthly consortium teleconferences and annual consortium science meetings. Collaborates with the Principal Investigator (PI) to compile and submit quarterly reports on research activities, publications, and presentations for the entire Consortium. Charles Greene (PhD, Biological Oceanography, U Washington 1985) is a Professor in Cornell's Department of Earth and Atmospheric Sciences and Director of the University's Ocean Resources and Ecosystems Program. In recent years, he has coordinated the University's Sustainable Earth, Energy, and Environmental Systems Program and its Masters of Ocean Science and Technology (MOST) Program offfered jointly with the Woods Hole Oceanographic Institution. External to Cornell, Dr. Greene coordinates the international Marine Eco-system Responses to Climate in the North Atlantic (MERCINA) working group and works with the private sector on a number of ocean technology initiatives ranging from algal bioenergy to fisheries acoustics. Dr. Greene has been awarded many teaching and advising awards at Cornell. 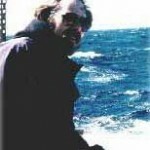 In 2008 he was inducted as a Fellow into the Oceanography Society for his contributions to the oceanographic community. 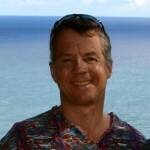 Mark Huntley (PhD, Biological Oceanography, Dalhousie 1980) is Adjunct Professor, Duke University (2013-) and Visiting Scientist, College of Engineering, Cornell University (2011-). He was Chief Technology and Science Officer, Cellana (2007-2011); Researcher, University of Hawaii (1998-2010), and Research Scientist at Scripps Institution of Oceanography (1980-98). In 1984 he founded Aquasearch, a commercial algae company that by 1996 grew to $200m market value. In 2005 he co-founded HR BioPetroleum, which in 2008 formed a $100m joint venture with Royal Dutch Shell. Huntley has served in leadership roles in many national and international scientific research programs. In this project, he is the Contact Principal Investigator, and leads Consortium activities in Harvesting & Dewatering and the Design Report. Zackary Johnson (PhD Botany, Duke University 2000) is Assistant Professor, Duke University (2009-), with a previous faculty appointment at U Hawaii (2005-09). Johnson has worked on phyto-plankton/algae for ~20 years and did his postdoctoral research with one of the pioneers in algae biofuels research. Johnson has led several oceanographic expeditions, is PI on NSF and DOE projects focusing on phytoplankton photosynthesis and growth, and has developed instrumentation to measure photosynthetic parameters. Author of more than 30 peer-reviewed publications, Johnson led Cellana/DOE Consortium program that screened >500 marine strains. Kiran Kadam (PhD Chemical Engineering, Virginia Polytechnic 1992) Director of Technology, Valicor Renewables (2011-) VP Research, Renmatix Inc (2008-11) >25 patents, 20+ years experience in development, scaleup of integrated bioprocesses, will co-lead Valicor process. John Less (PhD Animal Nutrition, Iowa State 1990) Senior Director of Nutrition, ADM Animal Nutrition (2014-) Director Animal Nutrition, North America, ADM Specialty Feed Ingredients (2003-14), is collaborating with XG Lei (Cornell) on animal feed product development. Stephen Machesky Owner, Project Manager & Licensed Hawaii General Contractor, KCPM Inc (2001-) has managed projects of up to $100 million, built algae facilities in Qatar and Hawaii (including Cellana), and will continue to provide his expertise in capital cost estimation. 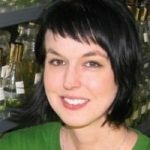 Schonna Manning (PhD, Plant Biology, Phycology, and Natural Products Chemistry) is a Research Assistant Professor in the Deptartment of Molecular Biosciences for the University of Texas, Austin and the Director of R&D at the UTEX Culture Collection of Algae. She is leading an algae processing technology for MAGIC. Mark Matlock (MSc Polymer Chemistry, Akron 1987) Sr VP Food Research, Archer Daniels Midland (2004-) is an expert in human nutritional products. Donald Redalje (PhD, Biological Oceanography, U Hawaii 1980) is Professor of Marine Science at The University of Southern Mississippi (1985-), formerly Research Professor at Naval Postgraduate School (1982-84) and Lecturer at the Moss Landing Marine Laboratories, California State Universities System (1984-1985). Redalje patented, designed, built and successfully commercialized hybrid system algae production technology with Huntley and, recently, created HR BioPetroleum Inc, now a Member in Cellana. Redalje specializes in marine phytoplankton physiological ecology, including determination of lipid and protein synthesis in microalgae grown under combinations of light, temperature and growth rate. In addition, he has focused on the role of phytoplankton in the global carbon cycle as affected by global climate change, dynamics of Harmful Algal Blooms, assessment of environmental quality in coastal waters, and marine policy and science-based resource management. 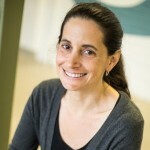 Deborah Sills (PhD, Environmental Engineering, Cornell University, 2011) is Postdoctoral Associate, Cornell Energy Institute (2011-13), and Assistant Professor, Bucknell University (Jul 2013-). Sills has worked on experimental and modeling aspects of biomass conversion projects. Nigel Tait (PhD Mechanical, Cranfield University 1992) Commercial Manager, Advanced Biofuels, Shell International Petroleum Co Ltd (2013-) is an expert in comprehensive evaluation of advanced biofuels, and will lead biofuel product evaluation in MAGIC. 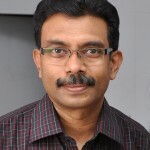 Kiron Viswanath (DFSc Tokyo University of Fisheries 1993; PhD Marine Science, Cochin University 1989) is Professor of Aquaculture (2004- ) and leader of the Aquatic Animal Health Research Group at University of Nordland. Previously he was Assistant Professor (1994-2004) and Researcher (1989 -’93) at the Tokyo University of Marine Science and Technology. Kiron has expertise both in nutrition and health of aquatic animals. In Japan, as part of the world-renowned group in Fish Nutrition, he tested alternate protein ingredients and developed environmentally-friendly feeds that were effectively adopted by the industry. Currently leading 4 major projects - 3 funded by the Research Council of Norway; successfully led Cellana’s multi-species international study on the application of algal biomass in aquatic feeds. Authored over 95 peer-reviewed publications, organized the IX (in Japan) and XI (in Thailand) International Symposia on Fish Nutrition and Feeding and Genomics in Aquaculture Systems 2009 (Norway) and 2011 (Greece). 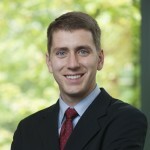 Michael Jay Walsh, (Ph.D. Environmental Engineering, Cornell University 2013) is an Energy & Sustainable Technologies Fellow at the Center for Integration of Science and Industry @ Bentley University where he researches technology development and commercialization. His doctoral dissertation focused on trace metal bioavailability to marine phytoplankton. He has held several leadership positions during the course of his academic training and has been recognized by New York State Water Environment Association and the American Institute of Biological Sciences for his work at the science & policy interface. For the consortia, Dr. Walsh provides financial and commercialization guidance and is also examining the land use change impacts of global algal production.